Today a new patch for PS3 Call of Duty Modern Warfare 3 is readily available to download. Unfortunely we do not have a changelog at this time and its very dissappointing that they haven't patched the challenge lobbies that are ruining the score leaderboards. We will post a changelog as soon as it gets released as for now Modern Warfare 3 appears to be turning into another Modern Warfare 2. As it the game is getting left in the dust with hackers to free roam and have control over the game. 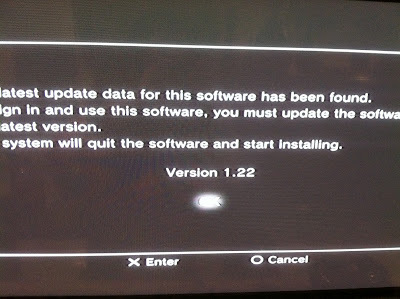 PS: I haven't recieved word on anyone working on this Patch Eboot Fix just yet. The game fix requires OFW 4.00 and is 35.15MBs. Enjoy. 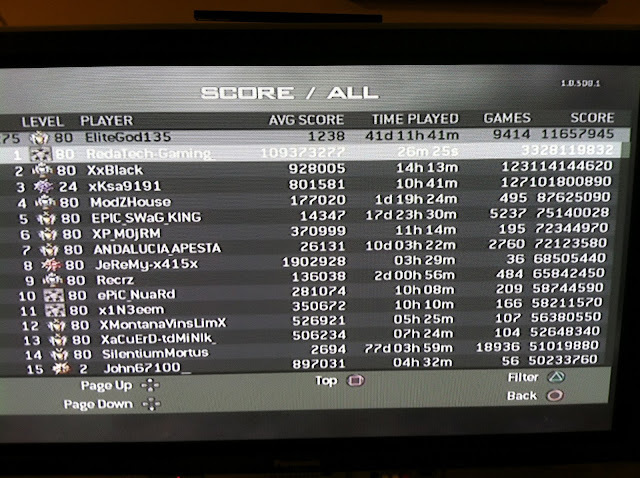 As you can see in the picture above the user RedaTechGaming has 26 Minutes playing and over 32 Billion ?? Trillion Points. 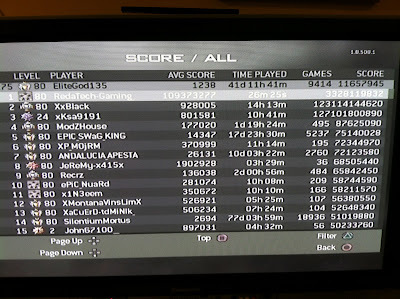 While you see me 41 days and just a little over 1 millions points.